Curved Luxury Chrome 22mm Towel Rail - Only £68.99! In stock now from just £68.99 including VAT! Hurry while stocks last! This Curved Luxury Chrome Heated Ladder Towel Rail is the ideal choice for any bathroom, given its reliability, simple yet efficient design and its modern look. 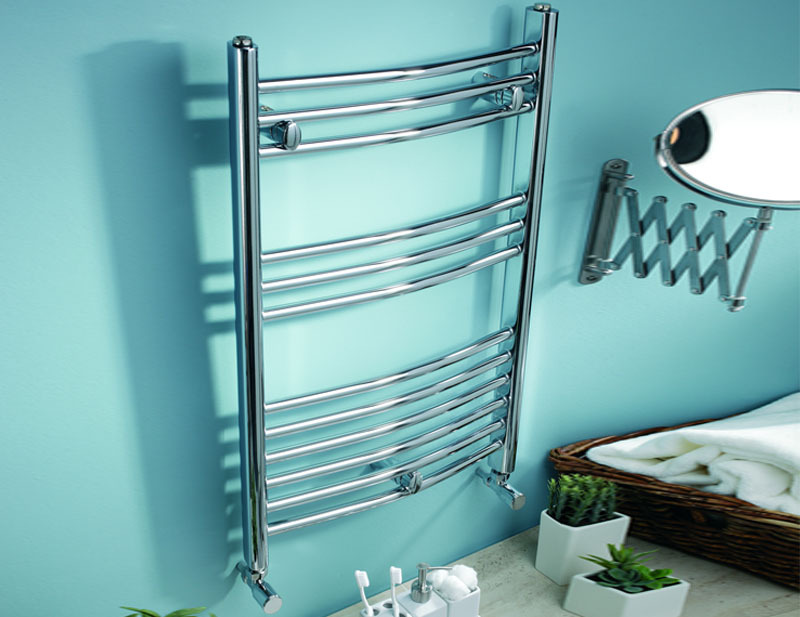 Presented in a beautiful and modern chrome finish, this is a long lasting and highly stylish item that will make an eye-catching addition to any bathroom. With a larger rail size of 22mm (compared to the standard 19mm), this superb ladder rail offers increased heat output for an extremely competitive price. The effective heating output will gently warm towels and the room ensuring the product is a superb addition to any bathroom or cloakroom. Bring warmth and comfort to your bathroom with this stylish and extremely well-made heated curved towel rail. 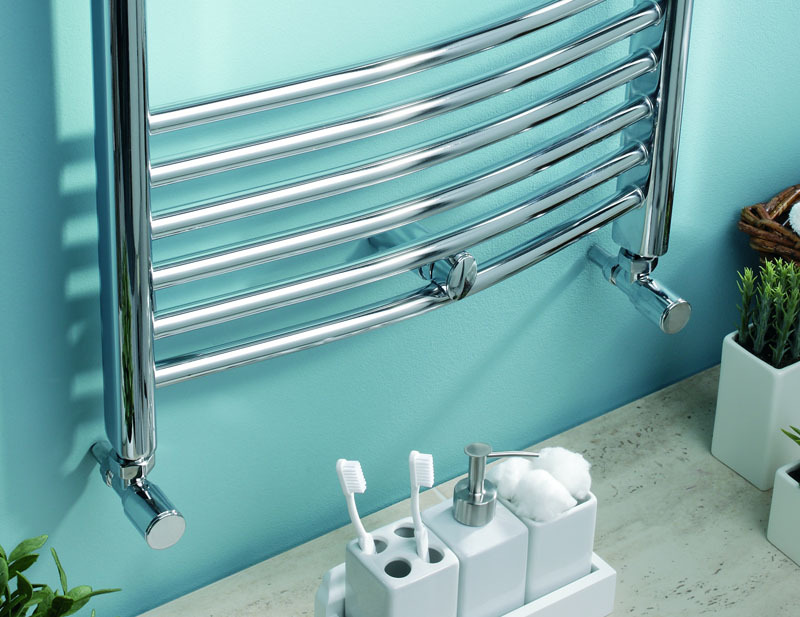 A very high-quality item which has been constructed using only the finest materials, it is the quality and sublime looks of the Curved Luxury Chrome 22mm Towel Rail that really set it apart from the crowd. This, plus the highly competitive and affordable price tag, makes this a particularly desirable item for any bathroom. Factor in the superb 5 Year Guarantee that comes with this item as standard, and it becomes clear this really is the ideal new addition for your home. This range of high-quality heated towel rails is famous for the sheer number of sizes and outputs that are available - this extremely high level of diversity and choice allows you maximum flexibility in choosing a ladder rail that is just right for your bathroom. This high level of customisation is not available in most other radiator ranges, making this the logical choice for any home. A tried and tested solution already installed in thousands of homes throughout the nation, this superb radiator offers a winning combination of value, quality, reliability and choice. If you're looking for a radiator that does the job, is built to last, is easy on your pocket as well as your eye, then this is a deal that's too good to miss! Add warmth and luxury to your home with our designer radiators. 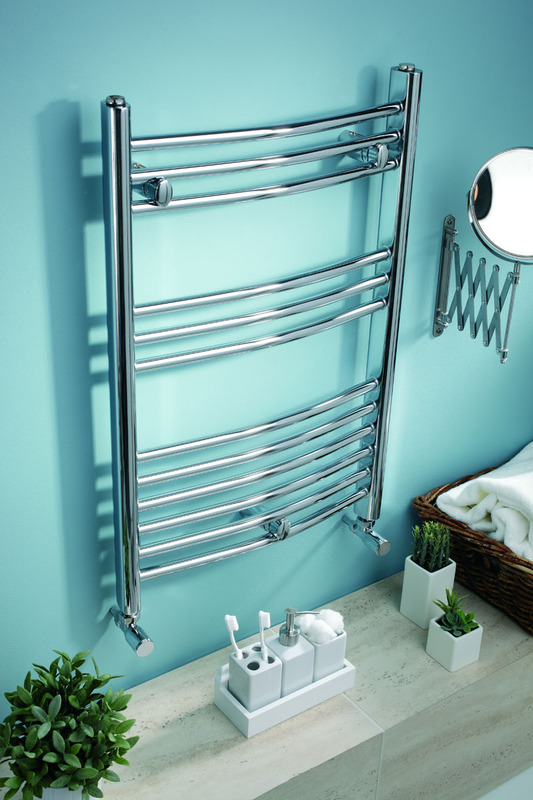 Introduce a cosy, luxurious atmosphere into your home with a high quality bathroom radiator from VIP Bathrooms. Our range of affordable radiators are high functional, heating every inch of your bathroom until you are in a comfortable and unmatched state of bliss. We are also aware that bathroom heating systems are not only about warming you up on cold, wintry nights. The best bathroom radiators are also about style, adding a cool, eye-catching feature to any bathroom they are added to. As a result, we stock a huge range of quality radiators, which include both modern and traditional interior design tastes. Product is unfortunately no longer available, please contact us on 01942 885700 to discuss alternatives. 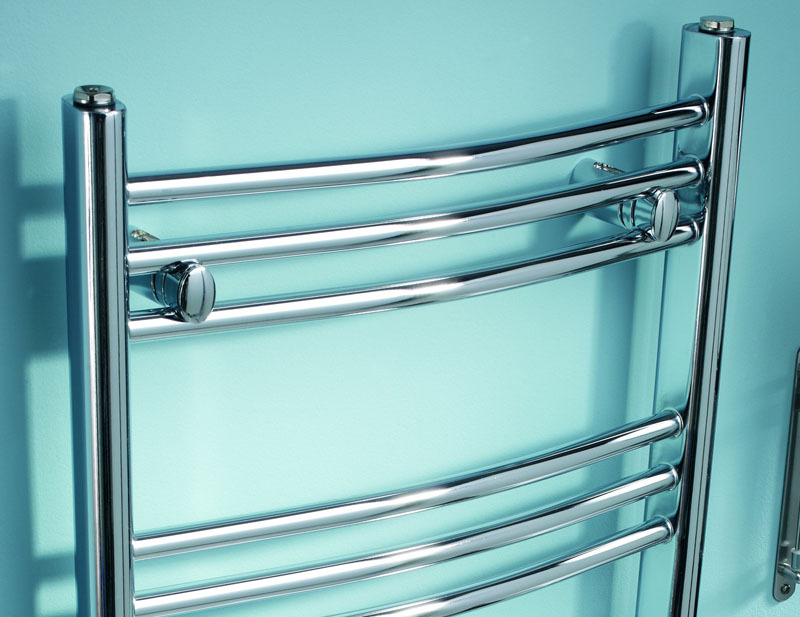 This Luxury Chrome Curved Heated Towel Rail Radiator is available in a wide range of sizes. (Please select from drop-down menu below).